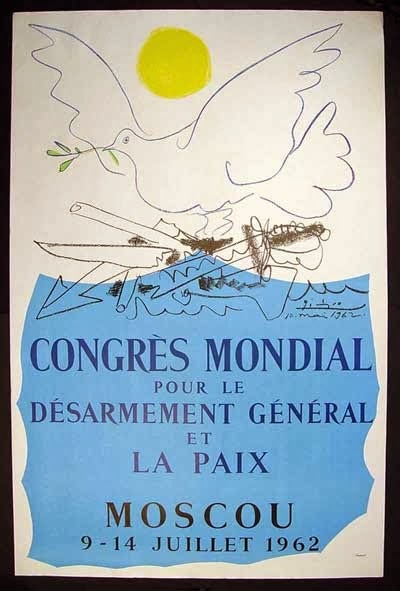 Why is the olive branch a symbol of peace in the West, and what has the dove got to do with it? The answers take us far into the past, before the Bible, then bring us back to the modern age with Picasso. Because it is one of the most easily tamed birds, the white dove has been a symbol of peace, innocence and love since Ancient Egypt and Mesopotamia, and it was the bird associated with Aphrodite / Venus, the Goddess of Love, in Ancient Greece and Rome. As for olives, they are such an important crop for countries around the Mediterranean Sea that the branch of the olive tree has been a highly positive symbol in their cultures since ancient times. The olive tree was so important that the reward for winning an event in the ancient Olympic Games was not a gold medal, but a wreath of olive leaves with which the winner was crowned, just like Athena on the coin above. The olive also appears in many ancient texts in relation with peace. In Virgil’s Aeneid, for instance, the main character holds an olive branch to offer peace, and in other texts there are records of Roman generals holding up an olive branch to ask for peace after being defeated in battle. These symbols were used in Judaism as well and put together in the Old Testament story of Noah’s ark. After the Flood, Noah released a dove from his ship and when it came back, it was holding an olive branch in its beak, showing that there was land again. 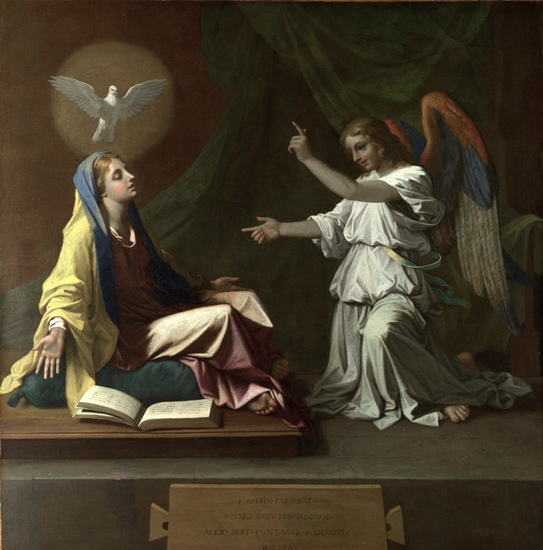 The dove also appears in the New Testament and in Christian art as a symbol of the Holy Spirit of God, the innocence of Mary, and as a messenger from God. So a combination of tameness, precious crops, mythological and religious factors from the ancient world brought the olive branch and the dove together. 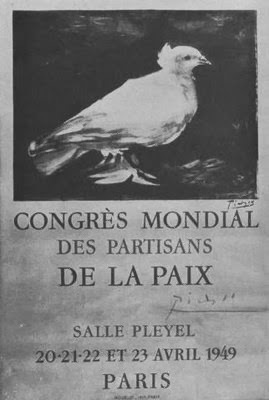 Their association then went beyond the religious, especially with the World Peace Congresses that took place after World War II, which used Picasso’s doves as logos. 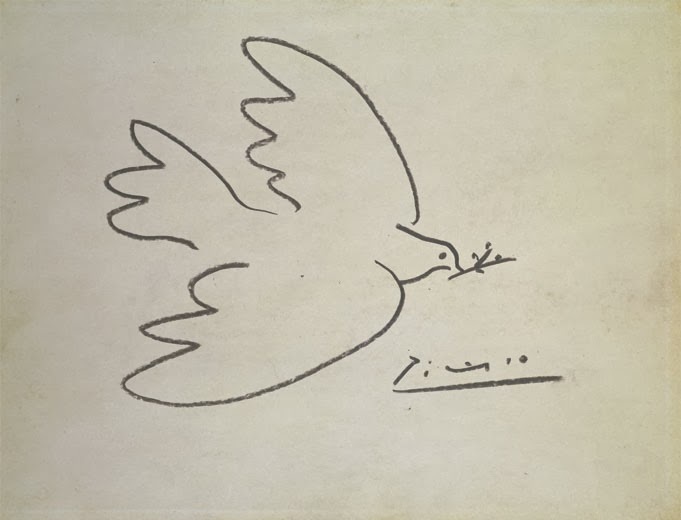 Picasso created many variations of his dove with olive branch, and it became one of the signs of the peace movement of the second half of the twentieth century, adding one more chapter to a story of symbols that began over three thousand years ago.